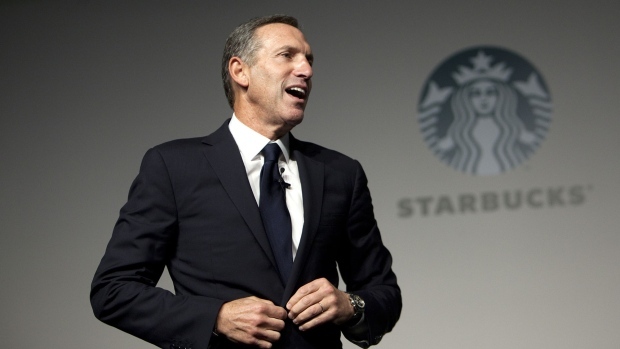 Former Starbucks CEO Howard Schultz may not decide on making a independent run for president until this summer or fall and will only be a candidate if he sees a plausible way to win the White House, an adviser said Tuesday. Schultz’s announcement that he’d consider a 2020 bid outside of either party drew a furious reaction from Democrats, who warned that he’d draw votes from the party’s eventual nominee and assure the re-election of President Donald Trump. "He 100 per cent will only run if he sees a viable path. There’s no chance he gets in this race if there isn’t a path," Bill Burton, a former aide to President Barack Obama who recently joined Schultz’s political team, said in an interview Tuesday. Burton said it may not be until "summer or fall" when Schultz makes a decision. By that point the frontrunners among the wide field of Democratic contenders may become clearer. For now, he plans to travel the country and pitch himself as a moderate alternative to two extremes. “The far left and the far right are controlling the conversation when people actually mostly agree in the middle,” Burton said. But he’s faced hecklers while promoting his book, threats of a Starbucks boycott if he runs and widespread criticism from Democratic officials and their allies. "If Howard Schultz goes through with this half-baked idea, he will pose an existential threat to a Democrat in what will likely be 2020 race decided by a few votes in a handful of states," Dan Pfeiffer, a former Obama administration colleague of Burton’s, said on Twitter. But he’s also taken aim at progressive Democrats like Senator Kamala Harris of California for backing single-payer health insurance, and Representative Alexandria Ocasio-Cortez of New York for proposing sharp tax hikes on billionaires like him — he called both proposals un-American.